Yes, have been for 47 years. A decent pint from a pump, or a Guinness. Going down the Kingsway Tunnel on a tram, at the age of 4. Can't say exactly, but it's a fair bet it was either The Goons or Tommy Steele, on 78. No. My eldest son, when very young, enjoyed himself one day. Brittle things, 78s! London history, Classic steam, reading (as in books, not the town) and most things mechanical. 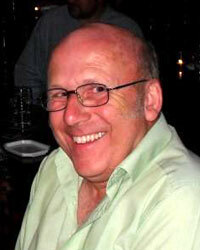 The first group I saw was The Dave Clark Five at the Bruce Grove Dance Hall in the late 50s. I was 16. It seemed great at the time! Never had a bad one! They say that everybody gets their 15 minutes of fame - well mine was more like 15 seconds! I appeared in a Channel 4 TV film, part of a series of half-hour pieces called "Metroland", to showcase the work of up-and-coming producers. The producer of the one I was in (Metroland 5) lived in St John Street EC1, near the London Charterhouse (remains of a Carthusian monastery). I was a postie back then and the Charterhouse was one of my delivery points for 9 years. I still have the video. I play CDs - does that count? Classical music, and the really early Blues stuff from the Deep South. 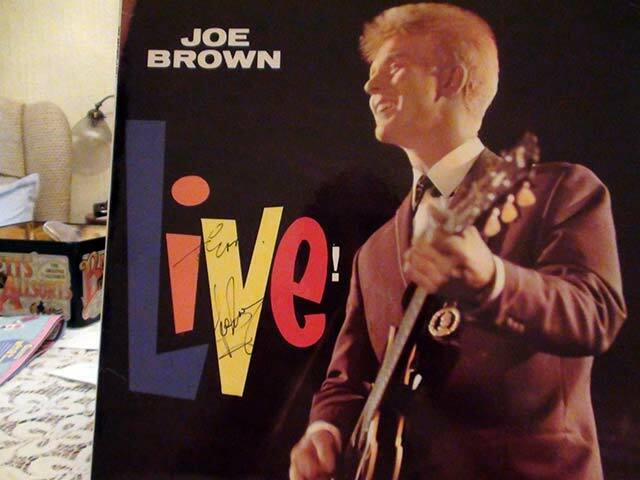 Meeting Joe Brown - I got him to autograph his live album. Still got it, too - look! A Gibson 335 or a Telecaster. Couldn't fit it into one word! Lots of feeling. When my sons and grandchildren were born. When Elmore James started playing. Filling in this questionnaire made me think. Phew!! !